Safes are one of the most secure storage areas a person could ever own. Encased in tough metal, it is the ideal place to store your most important items, including documents, jewelry and even money. There are plenty of different kinds of safes you can get, depending on the level of protection you want, but the one thing you have to take note of is the lock, as this can open or close the safe. 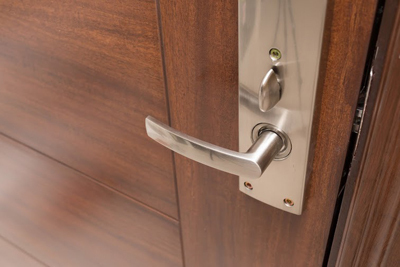 There are two known types of safe locks, each different from the other and has its own merits, but they both provide the protection your valuables deserve. If you intend on buying a safe for your own storage needs, be sure to learn about these two types of safe locks. -The first of the two types is the combination lock. Having been used for over 125 years, combination locks require you to memorize a lock combination in order to open them. It is a rather precise mechanism, allowing little room for error, and requires some amount of effort to open. Though primitively compared to the second type of lock, it is still reliable, and does not require any type of power source to operate. -The second of the two types is the electronic lock. A product of advanced technology, electronic locks attempt to combine protection with convenience. This type simply requires the user to input an access code using a keypad in order to open it. This makes it very easy to access the safe, though it can only be used when there are batteries powering it. Without them, you would be unable to open the safe until you replace them. Choosing a safe lock is purely based on personal preferences. Think carefully about which safe lock you would want to have before making your decision.